It has come around to that time of year again where the nights start to draw in earlier and those mornings are fresh and crisp. Soon, as the clocks go back, you’ll be needing a good set of lights - whether it’s to get you home safely after work, to get you through a training session on the road bike or to get you to the bottom of a trail. We’ve put together a guide of the different lighting options on offer whatever your cycling preference. 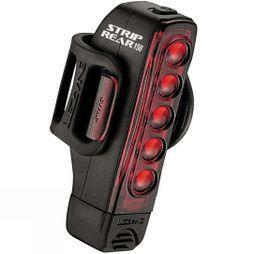 There’s a wide range of bike lights out there that cater for every discipline of cycling, all you need to do is find the right one for you. The urban commuter, riding home though well-lit town areas will benefit from a different light to that of the road cyclist on darker country roads. The following guide will enable you to choose the correct one for you. Urban cycling generally involves cycling on relatively well-lit roads where oncoming hazards and dangers are usually very visible to the cyclist. In these sorts of areas, the emphasis is focused more on being seen by other road users to ensure you stay safe. This means that on urban cycling lights you’ll find multiple flashing modes to suit a variety of different urban environments that you might find yourself in. Below are examples of lights that excel in the urban environment. This combination set from Moon is an excellent choice for the urban environment. The Meteor-X has a 200 Lumen emittance on full beam from a CREE XPG LED and lasts up to 1 hour 45 minutes. This head light can be charged via USB within 2 hours. Exclusive to CycleSurgery. With upgraded CNC aluminium body The Switch is even more suited to the demands of the urban cyclist and, paired with the compact TraceR, delivers an exemplary commuter package. 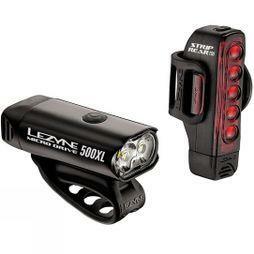 This lighting kit from Lezyne is all you need to keep you safe on the roads all year round. The front light can deliver up to 500 lumens and has an advanced Li-Poly battery for superior run time, making sure that you are never caught short. This super powerful and versatile LED taillight has five ultrahigh-output LEDs delivering up to 150 lumens. It has eleven unique modes including two high-visibility Daytime Flash modes. And, an intelligent Mode Memory function will return your light to the previously selected mode after turning off. 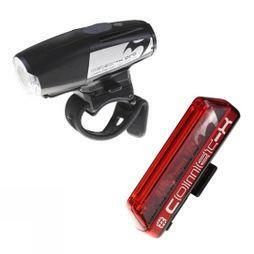 The Moon Nebula rechargeable COB rear light can generate up to 180 lumens in flashing mode and 100 lumens in constant. It has a long-lasting 800 mAh Li-PO battery with a low battery and charge indicator so that you will never be caught short. For the road cyclist who is riding and training on dark or even completely unlit roads, a higher lumen output is needed to ensure everything on the road is visible. This is even more necessary when the speed is taken up a notch and you need to pick you way around potholes, road debris and oncoming dangers. 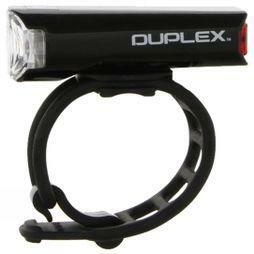 For these kind of riders a lumen output of 600 lumens and above is normally what’s needed. This high-performance LED cycling light incorporates two market-leading high-output LED’s delivering up to 1100 lumens, perfect for winter road cycling. An optimal Overdrive Race Mode switches between Overdrive and Economy modes and a Mode Memory function returns the light to its last chosen mode on power up. The Meteor Storm Pro is the perfect blend of style and performance. 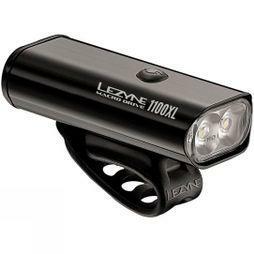 The combination of 2 Cree XML L2 LEDs provides up to 2000 lumens, more than enough to illuminate your ride this winter. When you’re in the woods and thundering down a trail, the amount of light needed is upped even further than that of the road cyclists. When the sun goes down there really is no source of light out in the woods so a bike light that emits a super bright and wide beam is required to make sure you see everything the trail has to throw at you. Therefore, mountain bike lights will generally pump out in the region of 2500 lumens and will often be combined with a head lights for maximum visibility. The classic MaXx D creates a wide-reaching flood of light to light up the trail throughout your seasonal rides. The clever Reflex+ Technology brings a boost of 3300 lumens to expose all the detail ahead from rocks to roots. The Mk10 comes with forged aluminium bracketry to mount your light to the bike securely. Light the way with the Exposure Diablo MK9 front light, which features TAP technology to quickly change mode and switch to a huge 1500 lumens when you need it. This expert trail light comes with a helmet and handlebar mount so you can easily fix it to your kit. If you’re planning to cycle at night, then it’s a good idea to always have a set of spare lights on you in case of emergency and one of your main lights gives up the ghost. When it comes to lighting, Cateye are one of the market leaders, with products that undergo the most stringent QC tests in the industry. 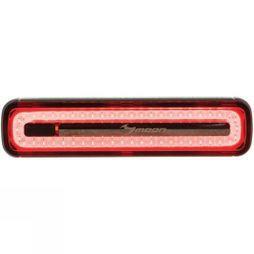 This shines through in their Orb Front and Rear light set. This Duplex Helmet Battery Light kills two birds with one stone, with a high output white LED light on the front and a red at the rear, all in one easy to attach and compact design. The committed commuter will often be seen with a helmet light to go along with their main set. Head lights offer another level of safety for being seen from both the front and the back, and being at head height means the light is at eye level with pedestrians and some other road users. This Duplex Helmet Battery Light kills two birds with one stone, with a high output white LED light on the front and a red at the rear, all in one easy to attach and compact design. Cateye’s Opticube Lens Technology uses superior lens and reflector technology to emit a higher quality light and beam pattern than their competition, even with lower lumen amounts.